KOW model nozzles are used to cool tanks which distribute water in a flat curtain pattern. Tank Cooling Nozzle is typically mounted in an upright position at a distance from the exterior wall of the tank for cooling of the storage tank surfaces. In the case of fire in the vicinity of the tank it prevents the tank from absorbing the heat radiation. 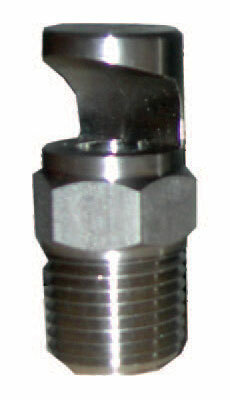 Tank Cooling Nozzles are available in Brass and Stainless Steel construction whilst connection to the fire network is threaded DN 15-½" or DN 20-¾". Flow rates are factory calibrated up to Metric K factor 95 1/min * bar"2. KOW type nozzles produce a flat fan spray with a very wide spray angle, and offer therefore the possibility for a very wide coverage. Their round outlet orifice, with no internal vanes, means optimum clogging resistance and hence high reliability. 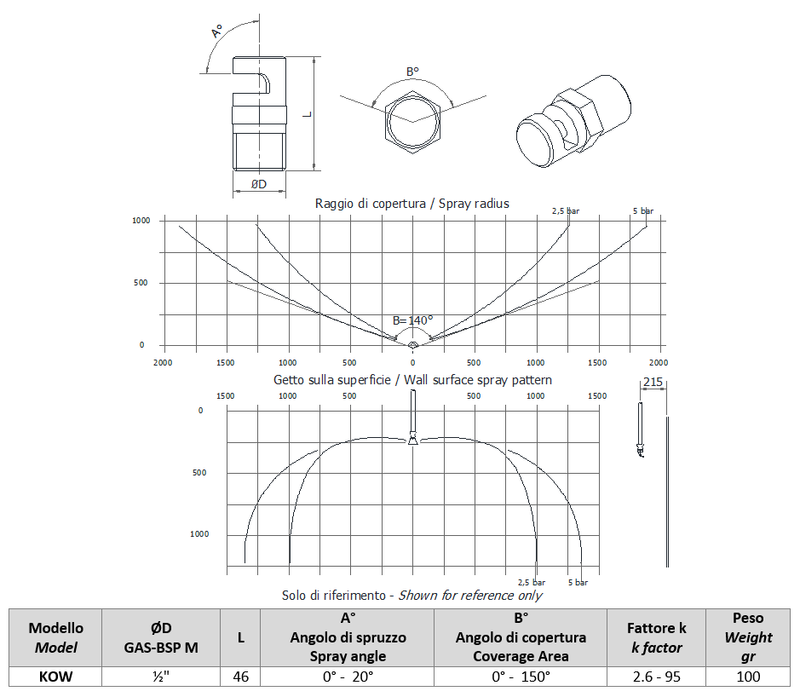 KOW-A type nozzles are produced to have a 15° deflection angle for tank shell cooling, while KOW- B type has no deflection, and serves the purpose of creating water curtains for smoke containment.